Business description from prospectus - Incorporated in the year 1995, Innovative Tyres and Tubes is a tyre and tube manufacturing Company, manufacturing & marketing products under the flagship brand ―Innovative. It started its journey with the acquisition of a greenfield project situated at Halol in auction from Gujarat State Financial Corporation and State Bank of Bikaner & Jaipur vide agreement dated December 15, 1995. Thereafter it revamped the closed company to a tube manufacturing facility at this property and started manufacturing of tubes in the year 1996. Within a short time after inception, it was able to successfully get our facility approved by CEAT Limited for carrying out job work activities for them. As a result of strong business relationship with CEAT Limited, taking the relationship to the next level it set up a greenfield tyre project as a major outsourcing unit in 2003 in a close vicinity of the existing first tube plant in Halol only. While the tube manufacturing facility is spread over 11,200 sq. mtrs, the tyre manufacturing facility occupies an area of approximately 27,833 sq. mtrs. The company has an installed production capacity of 12,000 MT of tubes and tyres. Taking a leaf of learning of tyre manufacturing with two-three-wheeler tyre segment, it graduated over a period of 15 years into manufacturing of practically all segments of Nylon Tyres. Today, its product range covers all highway sizes, Off The Road (OTR) highway sizes, agriculture and industrial tyres. 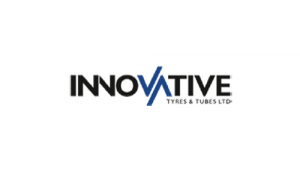 Innovative Tyres and Tubes IPO allotment status is now available on Link Intime’s website. Click on this link to get allotment status. Innovative tyres ipo ka allotment kab hone wala hai..